The major loser in this weekend’s Paris mayoral election is likely to be diesel. Mercedes comes up with an interesting offer on its new GLA. NATO makes a strategic roads investment in Macedonia. Finns reject DUI murder rap. Trucks set to become safer. Dover is the biggest, the latest Gibraltar queue misery, and a Mini driver makes a massive mistake in the French Alps. Nathalie Kosciusko-Morizet, left, and Mayoral rival Anne Hidalgo apparently share a distaste for diesel. As Paris approaches the sharp end of its mayoral election, the candidates at least agree on one thing: diesel is bad. Despite yesterday’s vehicle ban being called off after just one day, and pollution levels peaking two days before the ban was introduced, the particulate matter emitted particularly by diesel engines has been fingered all round as the major culprit. Favourite Anne Hidalgo, deputy of the current mayor Bertrand Delanoe, has vowed to ‘totally eradicate diesel from Paris, including coaches and buses,’ and promote electric cars if elected. She calls her close rival Nathalie Kosciusko-Morizet ‘Minister of Diesel’ for apparently presiding over the rise of diesel cars when Morizet was environment minister in Nicolas Sarkozy’s government. Sales hit 77% of the total in 2008 as the fuel duty gap between petrol and diesel grew. The gap still stands at nearly 20c per litre, €1.289 versus €1.479. Her own plan is for ZAPA zones (Priority Air Quality Action Zones) which will ban ‘polluting vehicles’ in favour of pure electric and LPG. Whichever candidate wins on Sunday it seems diesel drivers are sure to be the losers. The latest polls says Hidalgo is four points ahead of Kosciusko-Morizet though that is not enough to ensure outright victory on Sunday. A second round of voting, on 30 March, looks inevitable. 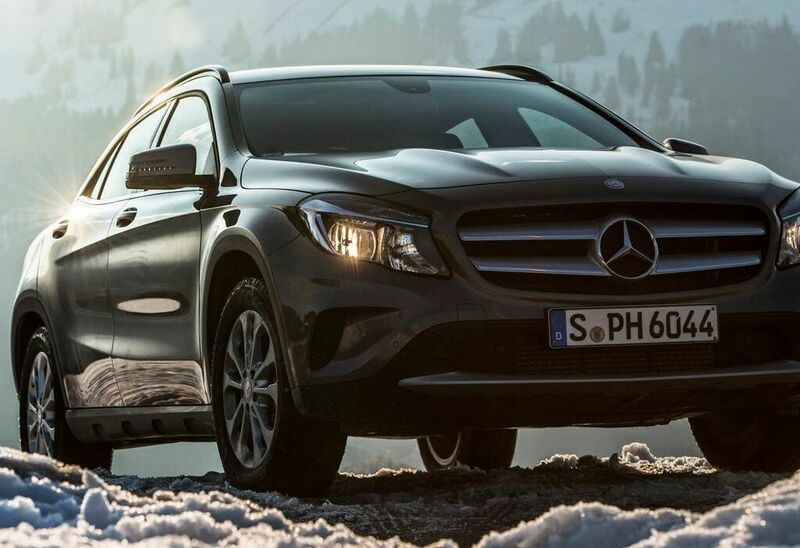 Try before you buy: pick up a brand new Mercedes-Benz GLA in Stuttgart. Drive it 225 miles south west to Kitzbuhel in Austria, spend a day skiing with a private ‘Red Devil’ instructor, stay at the five star Hotel Grand Tirola, take the car back to Stuttgart the next day. Price €499 for two sharing. A good deal? You have until 28 March to decide. Click the link above. roundup: MACEDONIA. NATO, believe it or not, is paying to overhaul thirteen bridges on the A1/E75 Veles-Katlanovo highway, to the south east of capital Skopje. The work will cost €8.6m and be completed by next September. It’s phase three of a project that has previously fixed 51 bridges. FINLAND. Despite 80% of road deaths being down to drink driving, lawmakers are set to reject a 60,000 signature ‘citizen’s initiative’ to reclassify fatal DUIs as akin to murder. TRUCKS. Windows are mirrors are set to get bigger, and front ends more rounded, after the EU’s transport committee voted today to amend truck dimensions in a bid to improve safety. The measure still has to be approved by member states and MEPs. PORTS. Rotterdam is Europe’s biggest port for good handling but Dover is number one for passengers according to new figures. Calais is in fifth place. GIBRALTAR QUEUE WATCH. Pedestrians waited for up to an hour, bikers for 90 minutes and cars for two hours today. Worse than ever. And finally, world-record hopeful Guerlain Chicherit emerged only slightly hurt after a spectacular practice crash this morning. The Frenchman is apparently still intending to jump a record-claiming 110m in his specially modified Mini at the Tignes ski resort in the Alps.